Before I start, I have to say. I’m not a lawyer and I don’t play one on the radio. Also, what I’m about to talk about applies to the USA. I’m not sure how all this works in the rest of the world. If you have any questions, please seek out legal advice from a qualified legal professional. The first part is about your rights as a content creator. You own the copyright to your creation as soon as you publish it. You don’t need to do anything to gain that copyright. In the US, your copyright is in place just by the fact you produced some content. This just means someone can not copy it and take it as their own work. Of course you have to defend it if it happens. There are ways to make it “official”. I’m not up on that as I never saw the point for what I do. Maybe for what you do, it might apply. Seek advice from a qualified lawyer. Back in the day… (I know, overused) a lot of podcasters used a creative commons license for their shows. That works too. I always say that this podcast is free to share and if you are going to try to make money on it, I want my part and give me credit for it. The creative commons license can be setup to do that. Again, I never really saw the point with this either for me. Your mileage may vary.. 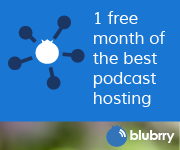 Sleazy Podcast Aggregators trying to make money off your content. There have been a few. 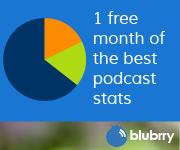 As podcasting gets more popular, there might be more. Keep on the lookout and get ready with a cease and desist letter (email) if you don’t agree to it. Music. Be sure to use only Podsafe music in your podcast. Podsafe music is just any music that you have secured the right to use in your podcast. You can get this in many places. I’ve gotten music from The Podsafe Music Network (music.podshow.com), http://incompetech.com/ (Royalty Free) which is where I got my intro music. I’ve also gotten music directly from the bands and promoters. If you are doing a music podcast you will likely be in touch with bands and promoters soon enough. I do a radio show on a local college station so I get emails all the time with tracks to play. On my other podcast, I’ve been known to play a lot of music also..
A couple of friends of mine have made deals to play licensed music in their podcasts. Brian Ibbott from Coverville has a deal where he pays royalties to the RIAA and others to play licensed music. (See coverville.com for info about that). Another friend uses “Taking care of business by BTO” for his intro music. He pays Sony (I believe) a small yearly fee to use that. Just be careful. Fines can be HUGE from the RIAA if you get sued. If you are in doubt, don’t play it. Lately there has been a lot of activity with take down notices being sent to iTunes to have podcasts removed from the directory for trademark violations. Mostly by TV Networks and sports leagues (Like the NBA, NFL and MLB) So if you do a sports FAN podcast, be sure if you use the name of a team in your title, also use “FAN or UnOfficial” or something of that sort to make sure you are not seen as official. You should also put that in the content of your website and your audio/video.